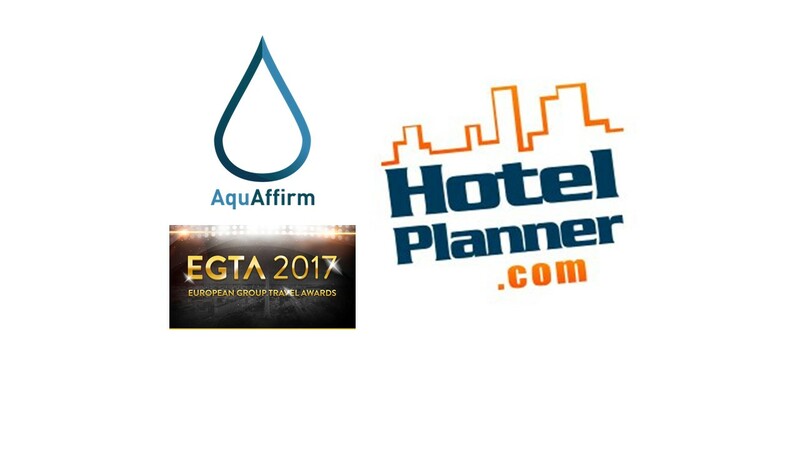 Bio Nano Consulting (BNC) is pleased to announce a charitable fundraising held at the recent 2017 European Group Travel Awards has raised thousands of pounds for AquAffirm™, its proprietary test for measuring arsenic in drinking water. The donations received will help BNC produce and send AquAffirm™ test strips to NGO’s and other stakeholders in Bangladesh. Toxic even in small doses, arsenic affects an estimated 150 million people worldwide, according to World Health Organization estimates, with as many as 70 million of those people living in rural Bangladesh. Long-term exposure to arsenic in drinking water leads to numerous health issues, including skin lesions and cancers and affects brain growth and learning in children. There is no cure: the only solution is to prevent excessive exposure through affordable testing, filtration and the supply of arsenic-free water. AquAffirm™ is the first simple, rapid, affordable point-of-use test for quantitatively measuring arsenic in drinking water, representing a significant advance. Being developed by London-based social enterprise Bio Nano Consulting (BNC), the AquAffirm™ test was chosen as sponsorship partner of EGTA in January. This partnership provided a unique opportunity for AquAffirm™ to interact with a diverse international audience. The third annual awards show took place on Thursday 9th March 2017 at the Intercontinental Berlin and hosted by Dylan Ratigan, former MSNBC talk show host, independent film producer, and HotelPlanner’s Global Ambassador. While there is no cure, AquAffirm™ is fighting for cleaner water by currently assisting parts of Bangladesh in providing an affordable and lifesaving test unlike any other on the market. BNC, a London-based social enterprise, is developing the AquAffirm™ test to help address what the WHO has called “the largest mass poisoning of a population in history” – the chronic exposure of millions in Bangladesh to toxic levels of arsenic in drinking water. This poisoning continues to cause numerous health issues, including childhood learning difficulties, cancer & death. The WHO estimates that one in five deaths in Bangladesh is related to arsenic poisoning. There is no cure; the only solution is to prevent excessive exposure. The AquAffirm™ test does just that: it is the first simple, rapid, low-cost test that provides quantitative measurements of arsenic in drinking water, promising to transform & save lives globally. HotelPlanner.com provides group hotel booking services to 3,000 groups per day in the global group travel market. The company’s group hotel booking service ensures the lowest rates by allowing customers to receive quotes online directly from hotel group sales managers. HotelPlanner allows customers to book hotels for business meetings, conferences, conventions, family reunions, weddings, extended stays, tours, military reunions, church events, and group travels. The company also owns and operates Meetings.com, a site that provides information, planning and booking services for group, meeting, and individual hotel stays for the corporate, associations and business to business enterprises. With a mission statement geared towards, “Bringing People Together,” HotelPlanner & Meetings.com are the global experts for hotel sourcing, providing direct clients and market leading affiliates with unmatched group and event discounted room rates plus localized service levels not available at other travel companies. Founded in 2002, the company has offices in London, England (European Headquarters), Hong Kong (Asian Headquarters), West Palm Beach, FL (USA Headquarters), and Las Vegas, Nevada.